This action provides an interface to the HTML Help Compiler. Note that to use this action, you should first set the HTML Help Compiler location in the Options dialog. 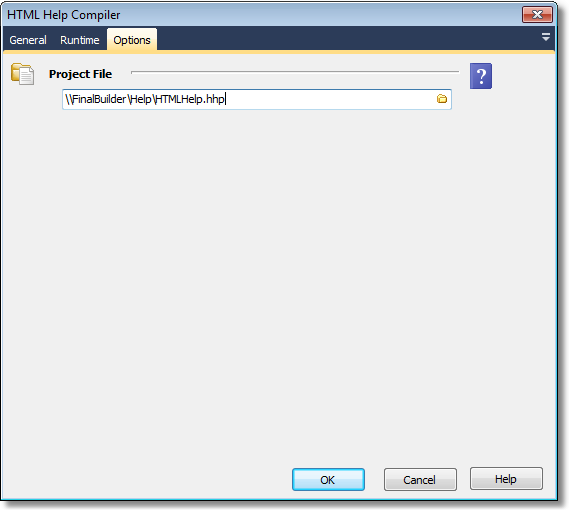 Project File : The fully qualified path to the html help project file (hhp).